It is not often that the LX Club encounter a strong and talented team in such adverse conditions of heavy rain with some thunder and lightning. The 4-4-2 formation of LX was well suited to the players, with Nigel Guppy as Sweeper and John Longden playing skilful complementary defensive hockey to thwart the mainly youthful RN forwards. The creative midfield central players of Richard Slator and Mike Harris, with strong running in the wing slots by Peter Ross and Zahid Arain, were stretching Barry Sewell (LX) in the RN goal to make some excellent saves. Imtiaz played in his usual all action and skilful style initiating many constructive moves. It was good to see Maurice Williams (LX) putting in his usual tenacious performance in defence for the RN, and Chris Jones (also LX) back to top forward form with some delightful silky skilled runs for the Navy. Potential new LX player, Nick Twine from Havant, put in a resolute and sound performance. In the second half as the rain continued to pour down, the Royal Navy had several excellent chances, but Paddy Maher was equal to all the shots, including two which came off the goal posts. Meanwhile, Brian Tubb at right back continued in his usual cool style to skilfully play his way out of tight situations to implement attacks for LX. The game was decided following a long run down the left by Zahid Arain, which led to Pami Bolina slotting in a goal from close range to give LX a very hard fought 1-0 victory. The Royal Navy provided their usual high standard hospitality in the United Services Club, and Ian Tibbitt (Captain of the RN team) thanked LX for an excellent game, and observed that the RN are getting closer over the years to gaining a win. Thanks were given by LX to Tom Darlington (LX) and Alan Thomson (RN) for umpiring in such atrocious conditions, also acknowledging the inputs of Alan Walker and Pat McAuley in arranging this match. It was encouraging that the RN teams are considering widening their horizons with possible games versus the LX Club at Yeovilton, Plymouth and Scotland. 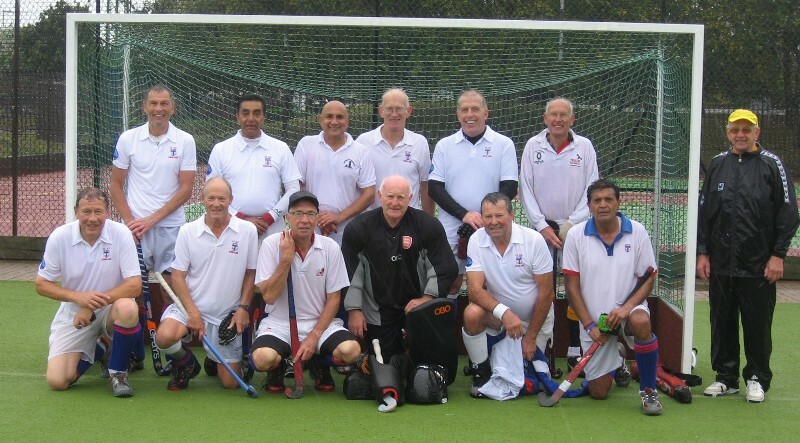 LX team: Paddy Maher (GK), Brian Tubb, Nigel Guppy, John Longden, Nick Twine, David G. Read (Captain), Peter Ross, Richard Slator, Mike Harris, Zahid Arain, Pami Bolina, Imtiaz Mahmood-Sheikh.